I need to intersperse these weeks with things that are free, otherwise one of my things I’ve never done will end up being borrowing money from Wonga. One way of doing this is to use the glory of YouTube, but I’d rather where possible learn directly from someone I know. 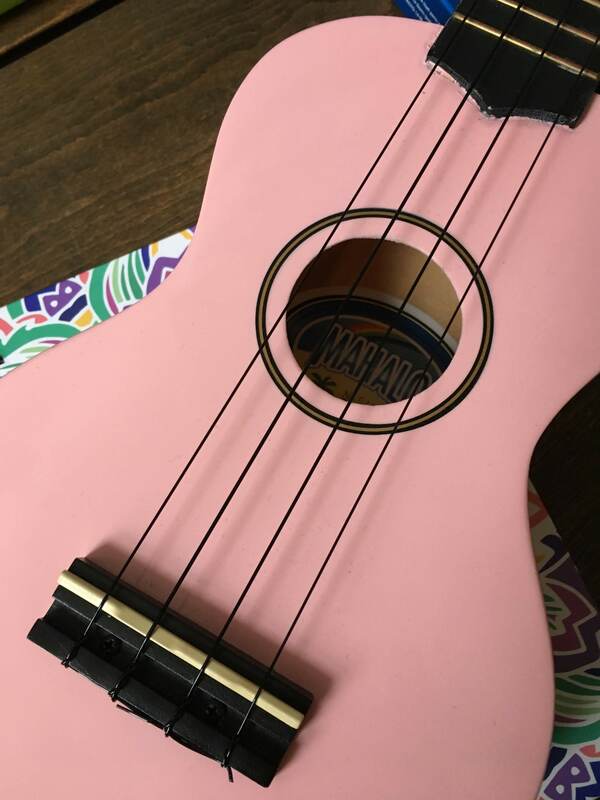 This week it was my eldest again who tried to teach me to play a song on her Ukulele. She started by showing me 4 chords, only one of which I could remember after being shown about twelve times. As with the crochet she was encouraging and yet slightly confused by my inability to remember the difference between f and g. I suggested I would have been much better when I was 12. The idea initially was that I learnt one whole song. In my dreams I was then going to record it and end up with thousands of YouTube followers considering me the next big thing. This would tick off “start a YouTube channel” for the following week – two birds one stone. So we picked a song. Ed Sheeran was more difficult that you’d expect so we ended up with “Count On Me” by Bruno Mars which I actually knew so thought would be a reasonable idea. Unfortunately it only contained one of the four chords she’d tried to teach me which wasn’t ideal. I tried for a while – we pretty much got the chorus sorted, although obviously at no where near the right tempo. It was quite a laugh but also really frustrating.